Way back in Febrary 2012, my very good friend Abigail gave me an annual subscription to Mollie Makes for my birthday. It wasn't a magazine I'd bought before, although I'd heard of it, but Abigail knew it would be my sort of thing, and she was right. I was instantly very taken with it and decided it would be fun to make one thing from each issue, which was more of a pleasure than a challenge, if I'm honest. 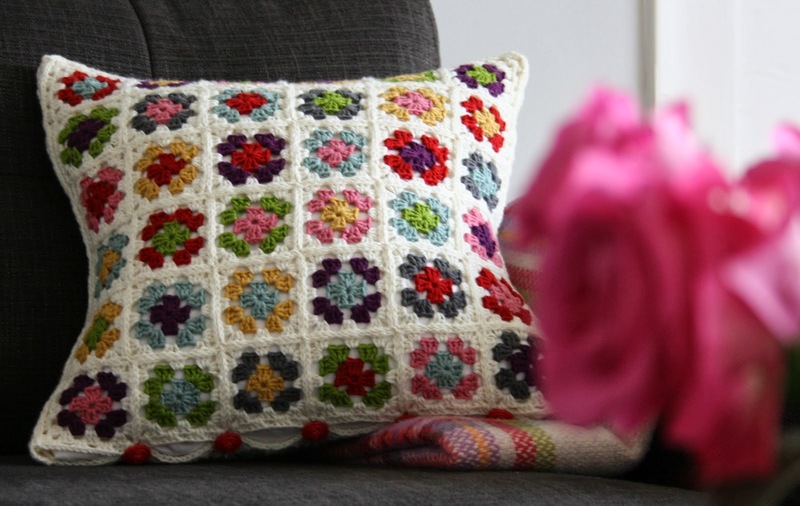 My absolute favourite item is the crocheted cushion, pictured above. My interest in crochet had been simmering in the background for some time but this project cemented my desire to learn and prompted me to book myself on a learn to crochet course. I still love the pattern, colours and feel of the yarn as much today as I did when I made it, and it moves from living room to bedroom depending on the seasons and makes me happy every time I look at it. I thought it would be fun (and yes, a little indulgent) to look back at all the things I've made. So, here are the fruits of my labours. From issues 11, 12, 13 and 14 we have two fabric mice, a pretty but not very useful apron, that crocheted cushion and a box of felt macarons. From issues 15, 16, 17 and 18 we have one pair of sparkly pumps (which I actually wear a surprising amount! 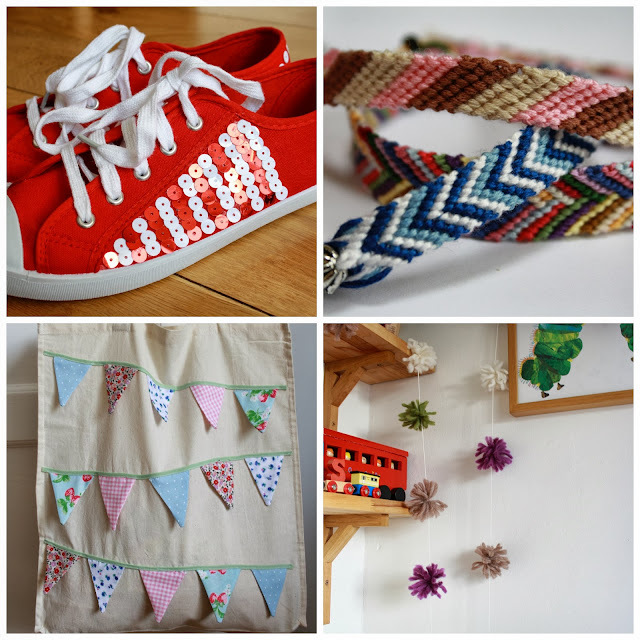 ), some friendship bracelets, a bunting-decorated bag and a string of pompom bunting (pomting?) for Angus's bedroom. 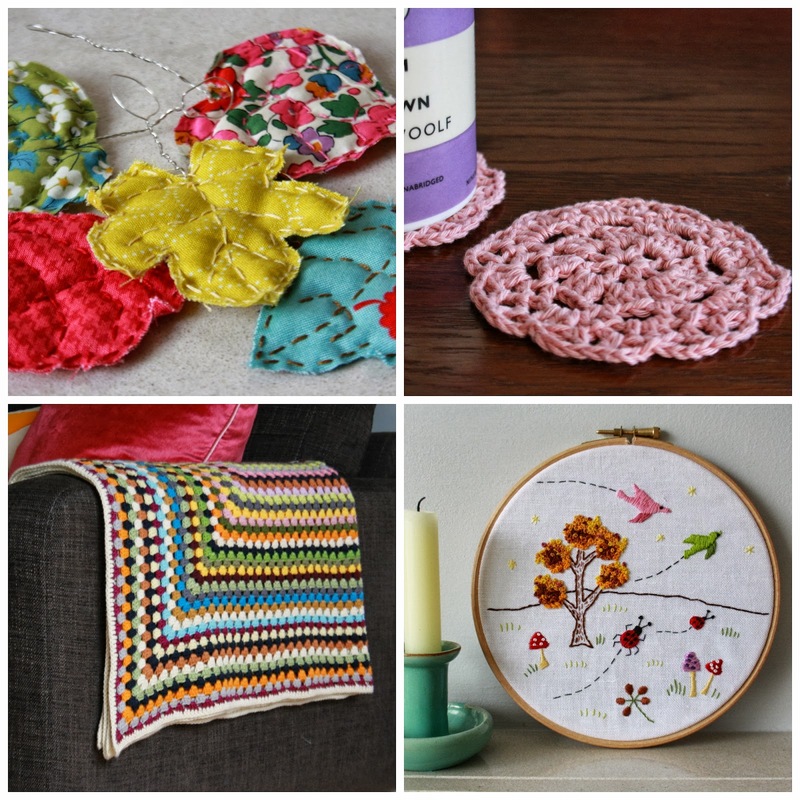 Then, in issues 19, 20, 21 and 22, I made a pile of decorative fabric leaves, two crocheted coasters, a cotton granny square throw and an autumnal themed embroidery. And finally, from issues 23, 24, 25 and 29 (my subscription ended somewhere here and I started buying random issues), I made a felt fox and racoon, a pretty floral crocheted garland, the knitted washcloth and two felt ice lollies. Some things, like the patchwork apron and the crochet coasters, I did to see if I could, to improve my skills a little. Other things, like the felt macarons and fabric leaves, were crafting eye candy - projects that appealed to me for the way they look as much as for their use. Some took twenty minutes (the pompom bunting) while others, like the crocheted throw, took months and months. There were things for the children, for me, and for gifts. 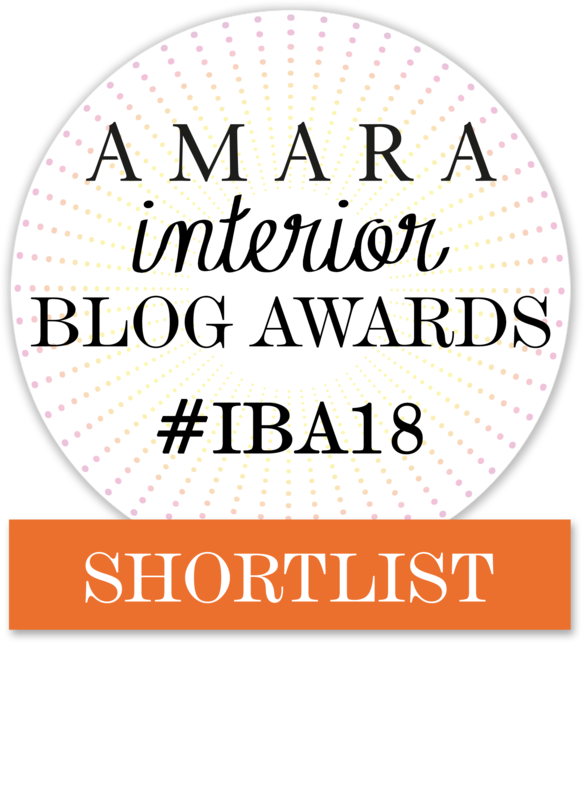 Absolutely everything has been worn, washed, played with, used and and loved, with the exception of one thing - the apron - because what is the use of an apron which doesn't stop the front of your clothes being splashed when you're cooking? - but I still like it all the same. I've enjoyed doing this enormously (except for the mice, they were too fiddly). It made me try things I otherwise wouldn't have and at times pushed me out of my comfort zone. I've just looked back through all my old issues for ideas for Christmas presents and there is certainly a lot of inspiration in those pages. I don't buy it every month now - probably every third of fourth issue - as our tight budget has meant I've had to drastically cut down on treats like magazines, but I am still very tempted every time I see a new issue of Mollie Makes on the magazine stand. I think you have done amazingly well. I get magazine subscriptions for Christmas off loved ones and also exchange my tesco club card vouchers for them,. I find it so much less expensive to subscribe than buying the odd one as they all add up. ooo I love the sparkly pumps, what a great way to jazz them up. 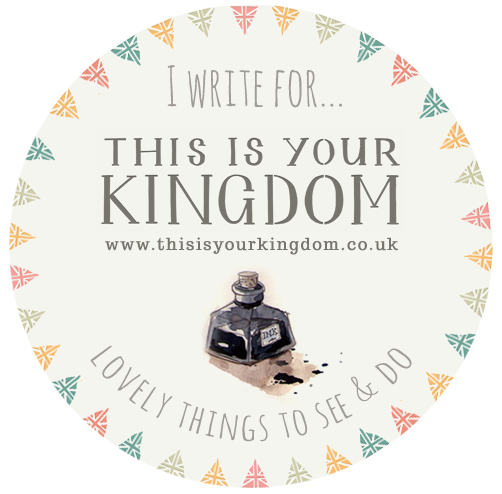 I am living more frugally at the moment so don't buy magazines but find lots of creative inspiration on Pinterest instead, though I need to make more of my pins rather than just pin,pin,pinning! Having everything together in this post is lovely, something to look back on. The mice are so cute and I love the throw but my absolute favourite is the embroidery. You must make the other three seasons, they'd look fabulous together. Lots of lovely makes...I have to walk very fast past the magazine their lovely covers draw me in.. I LOVE, LOVE, LOVE Mollie Makes! I stalk my Newsagent every month around the 15th for the latest issue! I have bookmarked so many projects but have still yet to make most of them. I'm in the midst of making The Princess and The Pea to surprise Sunny for Christmas. P.S If you have an ipad you can purchase/download the issues for much cheaper :) My sister has gone back and purchased the first issues we missed out on this way. I've really enjoyed watching you go through this project. I think the mice post was one of the first I read when I started lurking quietly on your blog way back when. I think all of your makes are beautiful and this was a great way to challenge yourself and have beautiful handmade things in the end. I wish Mollie Makes was more affordable in the US; even the digital version is pricey. I may treat myself to an issue sometime though because I really want to see what it's all about. wow, you've been busy making the most of your subscription. Everything looks great but my favourite is the cushion cover - in my other life I've made a whole bed throw like it. In the real life I have never quite made the time. I really enjoy Mollie Makes too. I have bought it since issue one but am beginning to find the occasional make a bit repetitive.. 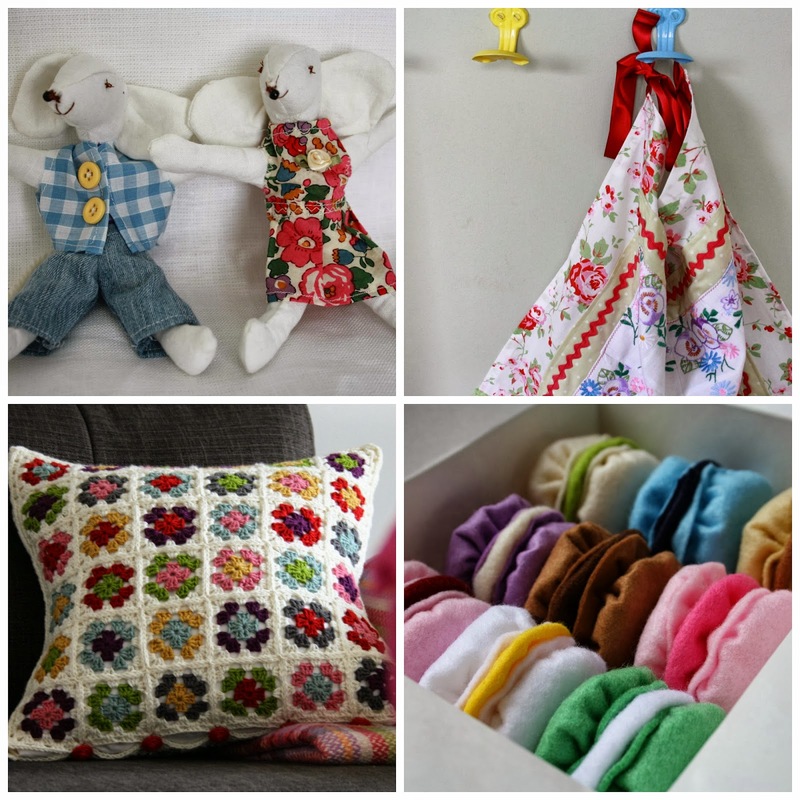 I love your crochet throw and cushion, when I finally learn to crochet these are the kind of things I want to make. I have been reading your knitting comments, honestly, just keep going. The washcloth is great and you will get there with it. Cables are marvellous to knit and are not as hard as they seem, I think you will enjoy them! Well, I don't know much about what Mollie Makes :) but this post certainly demonstrates that Gillian makes beautiful things! Thanks for sharing some of what sparks your creativity, Gillian. You inspire me to enjoy creative pursuits as well. You've been so busy! I really wish I could sew - but I am absolutely useless and get really stressed every time a get my little sewing machine out! You have done really well, they all look great. I can't afford to buy this magazine much any more and to be honest i do miss it even though i have only made a couple of things from it. I will be looking through my old copies for christmas though. You really have made some great things Gillian, I especially like.... all of them! Actually, I really really like the cushion, that is the best for me. Lovely to see things that you have made, as I am sure that a lot of people buy magazines and never make anything. You have inspired me to get MM, and as you might have seen I have been making the little free things that come with it, but I better get on and make some of the bigger projects now! wow they all look smashing! Wow, you have made so many beautiful things. You are very talented I think! 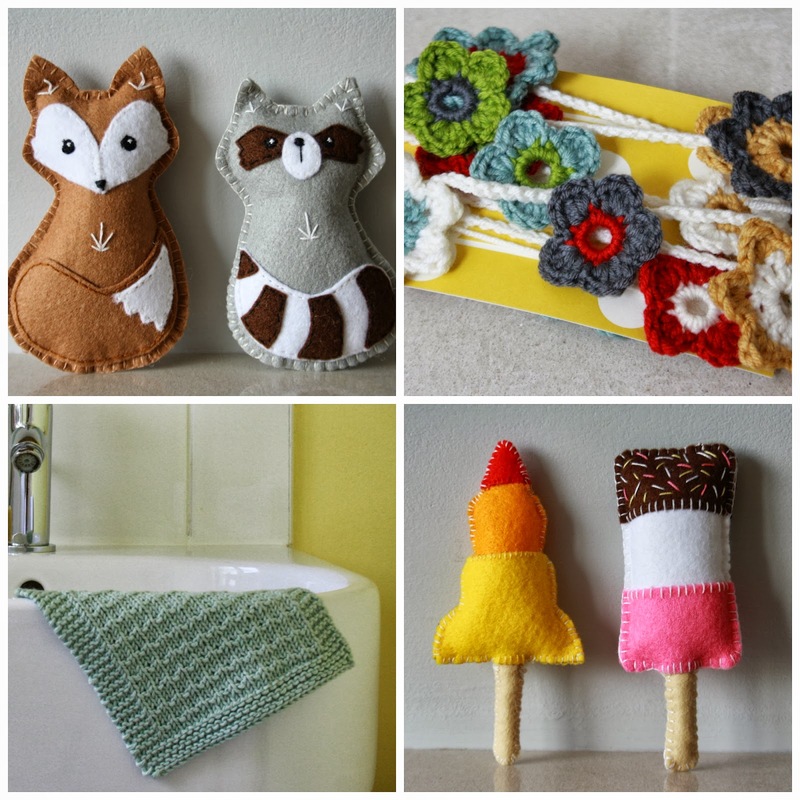 I especially love the embroidery, the fox and raccoon, and the wonderfully textured washcloth. You have put so much effort into making these lovely things, you should be proud of them all! This is really such a great idea for making the most of your subscription...and well done for completing the challenge! All of your makes are just beautiful...I especially love your crochet cushion, but everything is just lovely. They are all so lovely! What a wonderful birthday gift from Abigail. What a great birthday present, and so many gorgeous makes! Have fun making Christmas presents, I really should start thinking about those too! Your subscription certainly led to productivity ... that's a lot of completed projects you have there. Same here re. the cutting back on magazines, although I'm finding in my case it's Country Living I struggle most not to pop in my basket when shopping. Now that's a bit of gorgeous inventory if ever i saw one Gillian! Well done on managing this rather challenging challenge. Wow, I might have to just take a leaft out of your book with regards to this :o) i love MM too but pick and choose which issues I buy, I am rathe rpartial to Inside Crochet too which is a lovely mag for us hooky types. Well done Gillian for those beautiful makes and for completing the challenge! I haven't made a single thing from the Mollie Makes I've bought here and there..
Those friendship bracelets bring back lots of memories!! Congratulations. You have great and diverse skills. I found the throw very impressive, but I love very, very much the embroidery. So many different things! As well as the face cloth I really like the throw and the cushion. Your projects are lovely!! I've only recently discovered this magazine and am enjoying it very much - such a fresh, inspiring look, with lots of information and interesting interviews. Go Girl : -) You've done what most of us would like to have done ... make something from every issue!! What a great thing to stretch you and to play with different materials. I know we shouldn't pick favourites, but that little raccoon is So Gorgeous!! Wow! Very impressive. You have been busy making so many lovely things! Fox and raccoon is a miracle! welcome to participate in our fox gallery. Your cushion is absolutely wonderful, and the macarons are fab. well done to you. You are so clever Gillian I am in awe!